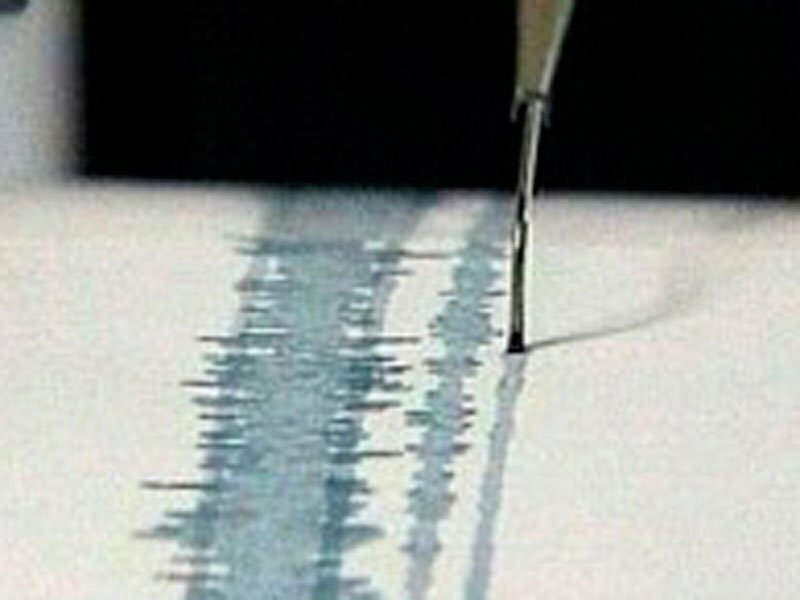 A 4.5 earthquake was reported in the Tuva Republic in Siberia on Friday morning. 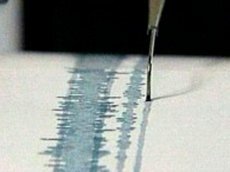 Residents of multi-storey apartment buildings in the capital Kyzyl were surprised to notice that their table and glassware were clinking and chandeliers were swaying. 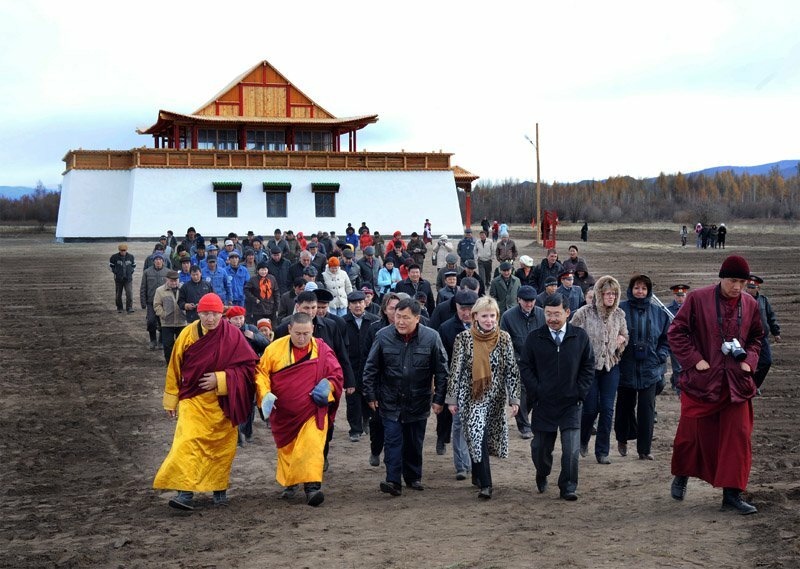 A ceremonial celebration was held in southern Siberia on Monday (July 23) to mark the opening of a newly rebuilt Buddhist temple - Ustuu-Khuree. Some ten thousand people travelled to Chadan in Russia's Tuva region to attend the opening festivities, which included a procession with people carrying 1,000 Buddha statues led by a green horse, in addition to a prayer service and music festival. The new temple is an exact replica of a Buddhist temple which was built in 1907 but destroyed in 1937 during the Stalin regime's anti-religious campaigns. It takes its name 'Ustuu Khuree' from the name of one of these destroyed temples. Ruins from the original building still stand in the region, marked by Buddhist prayer flags. Today Sherig-ool Oorzhak is celebrating his 70th anniversary. Born in the year of the Horse he run the republic over 17 years over 3 terms (1990-2007) He graduated from the Timiryazev Agricultural Academy (Moscow) and began his labour activity as the head of the Shekpeer state-farm (Baryyn-Khemchik district). 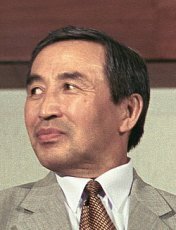 Then his work was associated with the communist party: as the first secretary of the Baryyn-Khemchik district party Committee, then of the Ulug-Khem Communist Party Committee, then the third secretary of the all-Tuvan Communist party committee. 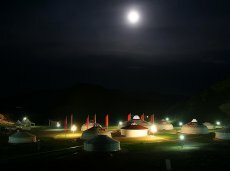 Naadym-2012, the holiday of Tuvan animal herders, will take place on August 3-4 in Bai-Tayga district, which won the honor to host the final and most spectacular part of the chief holiday of Tuva, for the successes in the socio-economic development. 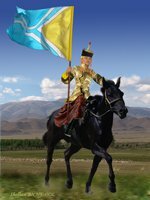 Naadym will consist of two parts6 the first one related to the herders’ achievements – in Bai-Tayga, the second with sports events – horse-races, wrestling, achery – in Kyzyl attached to the Day of the Republic on August, 17-18. 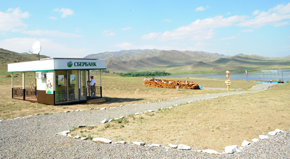 The first mobile solar-powered ATM has been installed in the Siberian region of Tuva, with many others looming. A solar-powered ATM looks like a regular cash dispenser; the only difference is that it draws energy from 16 solar batteries fixed on its roof. The first of its kind in Russia, it is set to provide a major archeological expedition organized by Russia’s geographical society, which is operating in Tuva, with banking services. As the expedition moves along its planned route the ATM will be moving with it. Traditional culture is what helps a nation to stay unique. 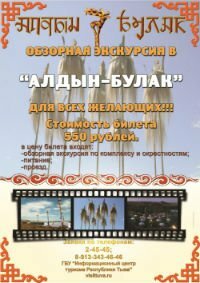 The newly built Aldyn-Bulak ethnic cultural centre in Russia’s Tyva Republic in southern Siberia aims to study and promote folklore, traditions and customs. The name ‘Aldyn-Bulak’ means ‘golden spring’. Located 45 km from the capital Kyzyl, the centre is expected to boost ethno tourism in the area. The centre welcomed its first visitors earlier this month. 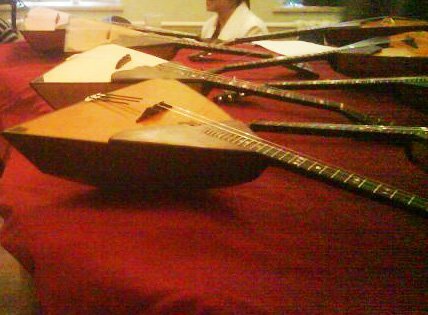 An eight-year-old boy in the Siberian republic of Tuva was exposed for stealing Russian folk instruments from a local school, blaming his actions on his love of music, local police said. A music school at a local village reported the disappearance of three balalaikas and two domras on late Wednesday, police said in a statement. Lazo Dovuyevich was a participant in the Second International theatric - educational festival "Nauruz", which took place last week in Kazan. On one of festival nights, he performed an old shamanic ritual kamlanie on the shore of Lake Kaban. The purpose of the ritual is to bring health to the people of our city, and that they would all live in harmony. And that children would be born intelligent, healthy and talented. Several days ago he visited the editorial office of newspaper "Kazanskie vedomosti". - Lazo Dovuyevich, was the invitation to the theatrical festival "Nauruz" unexpected for you? 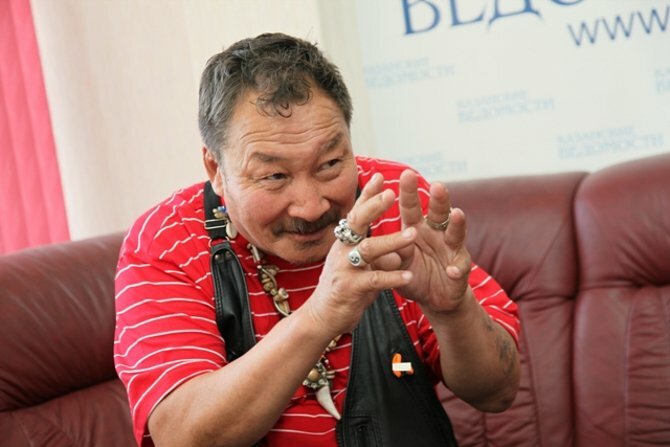 Traditions of nutrition of the Central Asian nomads evolved from time immemorial. The economic subsistence of the aboriginal population of the Sayan-Altai area was based on nomadic herding. Herding involved small and large horned cattle, including yaks (in the high mountain regions in the west and southeast of the republic), as well as horses and camels. Cattle breeding was the most natural occupation, which secured material prosperity of the family and clan. Agriculture, growing of barley and millet, was of secondary importance.